How Many Shares Traded Is Considered a Lot? Your broker uses standardized trading lots to get a quick fill on your order. 3. Definition of "Disposition of Shares"
Using standardized lots streamlines the entry and execution of a trade. However, the number of shares that makes up a standard lot can vary from one security to another. 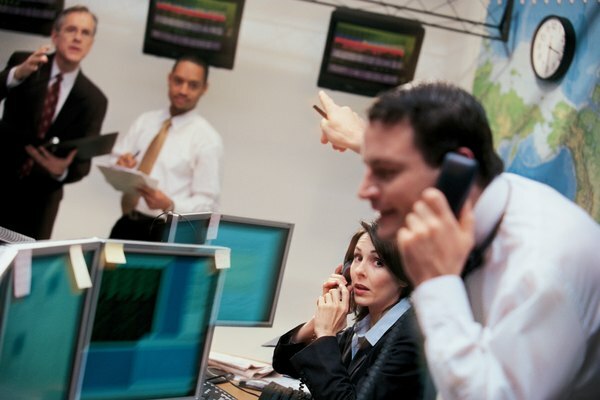 Different securities use a term other than shares to identify each traded lot. For example, stocks, exchange-traded funds and mutual funds use the term share, while commodity traders use the term contracts. The amount of assets each type of lot controls can also vary between securities. Stock, exchange-traded fund and mutual fund shares are usually traded in round lots. A round lot is any number of shares that can be evenly divided by 100. Any other number of shares is known as an odd lot. Even with the advent of online electronic trading, many traders still avoid odd lot orders. It can take longer to get an odd lot order filled compared to a round lot order. Some brokers may impose additional trading fees to place and fill an odd lot order. Unlike stocks, there are several definitions of what constitutes a lot of bonds. A round lot of bonds has a par value of either $1,000 or $5,000. For bonds sold over the counter, one lot equals five bonds regardless of the par value. Because bonds are available in a wide range of denominations, most bond trades are odd lot transactions. For example, purchasing a U.S. savings bond with a $500 par value or buying 10 over-the-counter bonds with any par value are both considered odd lot trades. In commodities trading, shares are known as contracts. Each category of commodity futures can have its own lot size. One lot of wheat, corn and soybeans equals 5,000 bushels. Both live cattle and lean hogs are traded in lot sizes of 40,000 pounds. Gold and palladium are traded in 100 troy ounce lots. One lot of silver equals 5,000 troy ounces. One crude oil lot is 1,000 barrels. Heating oil and unleaded gasoline are traded in lot sizes of 42,000 gallons. Foreign currency exchange, or FOREX, traders can select from three different lot sizes. The lot size determines how much of the base currency is controlled. The base currency is the first currency listed in a trading pair. For example, for the USD/CHF (U.S. dollar/Swiss franc) trading pair, the USD is the base currency. A micro lot is the smallest lot and controls 1,000 units of the base currency. A mini lot is the next lot size up and controls 10,000 units of the base currency. The standard lot is the largest lot and controls 100,000 units of the base currency.